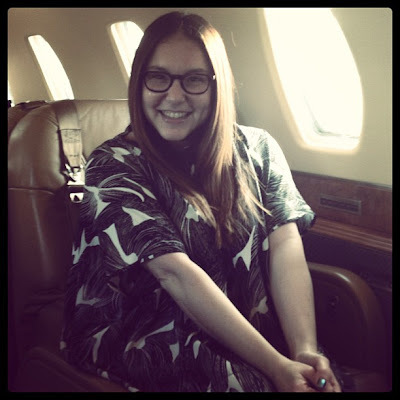 Spending some time on the company jet. Don't I look blissful? What I really wish? That I'd had some neuro BLISS on hand for all of those stressful airport moments! 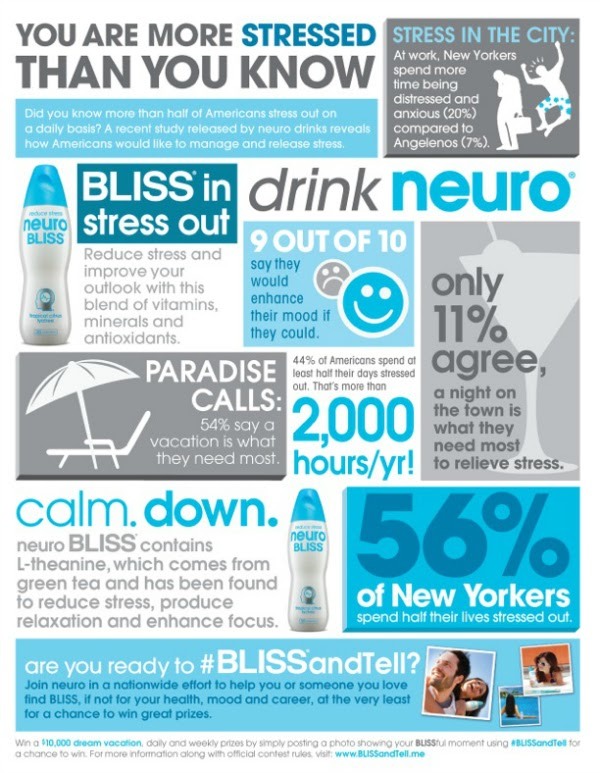 neuro BLISS is a delicious tropical citrus lychee flavored drink designed to reduce stress and relax the mind. It contains chamomile and a powerful blend of vitamins, minerals and antioxidants including L-theanine, an amino acid found in green tea which has been found to reduce stress, produce relaxation and enhance focus. This combination provides a calming effect and promotes a positive outlook by reducing stress levels, improving memory and attention and supporting the brain, resulting in the ability to concentrate on one’s goals – not the pressure. Plus, all varieties of neuro drinks have only 35 calories per bottle and contain no artificial colors or flavors and you can find them almost everywhere -- Target, Walgreens, Safeway, 7-11 and other national grocery, convenience and drugstores. 1) Nearly 50 percent of Americans spend at least half their daily lives stressed out. 2) The cure for stress varies, with 89 percent agreeing that a night out on the town does little for stress relief. 3) More than half admit a vacation is what they need the most, while a quarter of the respondents say personal time would help treat the stress. Pretty crazy, right? 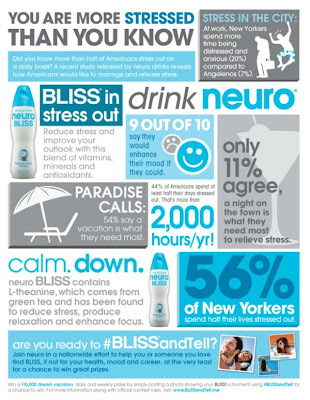 In response, neuro is urging Americans to join a stress reduction movement with the launch of its BLISS and Tell campaign, which encourages consumers to take time to relax and share their blissful moments.